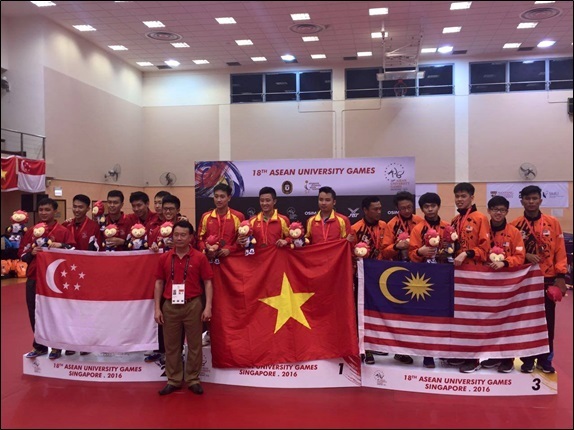 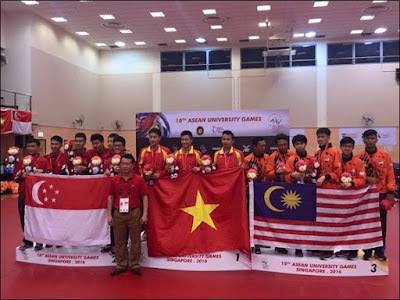 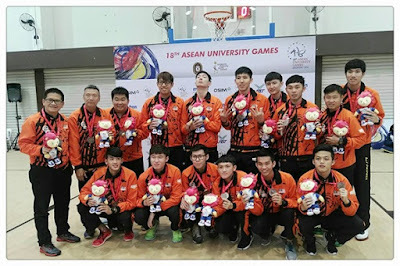 SUBS student Chang Zi Fueng (top right) & ADTP student Lim Yong Yi (bottom row, second left) part of Malaysian Men Basketball Team won 2nd runner up in ASEAN University Games 2016, held on 11th – 17th July, at Nanyang Technological University, Singapore. 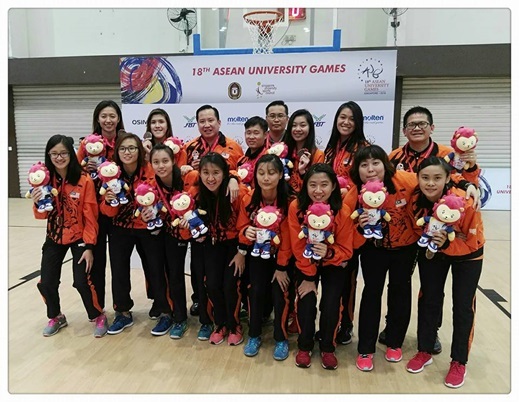 MUFY student Sabrina Rachel Chang Ming-I (top second right) part of Malaysian Ladies Basketball Team won 2nd runner up in ASEAN University Games 2016, held on 11th – 17th July, at Nanyang Technological University, Singapore. 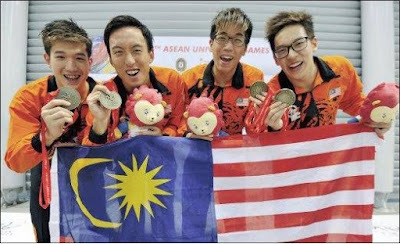 Sunway ADTP student Yeap Zheng Yang (left) part of the Malaysia Gold medal winning relay team in the ASEAN University Games 4x200m Freestyle event on 13th July 2016 at OCBC Aquatic Centre Singapore.